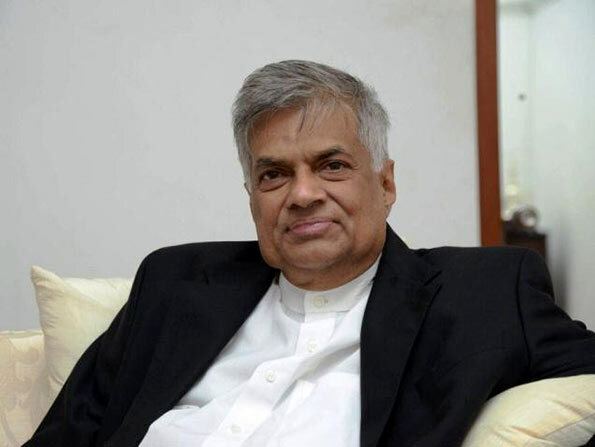 Prime Minister Ranil Wickremasinghe has said that a Compassionate Council will be established to solicit advice and guidance for all religions respecting the proposals of other countries. The Prime Minister said that many countries proposed of Truth Commissions to which Sri Lanka agreed. But it added one amendment to it. It was endorsed in Geneva when Minister Mangala Samaraweera delivered his address. It was a Compassionate Council. Taking into consideration the background of the four main religions in the country and establish the Compassionate Council to give advice. This is a new concept. The Prime Minister said that discussions are in progress with members of the Maha Sangha and the clergy of other religions as to how it should be established. The entire world has drawn its attention to this concept. He said that the country should unite and carry it forward. If so Lanka would achieve reputation as it is getting ready to solve the issue based on the Dhamma. The Prime Minister was addressing the Dayaka Sabha meeting of the Raja Mara Vihare in Kelaniya. The Dayaka Sabha of the Vihare has taken initiatives to launch a massive promotion programme entering the Duruthu Maha Perahera Pinkama of the Raja Maha Vihare in Kelaniya. These activities are being carried out by the Dayaka Sabha headed by Prime Minister Ranil Wickremasinghe, who is the Chief of the Dayaka Sabha. It is planned to launch the promotional programmes protecting and maintaining the sacred environment of the Kelaniya Sacred Site and reflecting its historic and ancient splendour. Religious programmes organized parallel to the Perahera are scheduled to commence on the 16th of next month. The Perahera will draw to a close on the 22nd of January. Prime Minister Ranil Wickremasinghe and Speaker Karu Jayasuriya were feted on this occasion. Chief Incumbent of the Kelani Raja Maha Vihare, the Ven. Dr. Kollupitiye Mahinda Sangarakkitha Thera and many Parliamentarians were present on the occasion.